His uncle, Manuel Kulukundis, felt that the more innovative teaching methods at Phillips Exeter Academy would suit his nephew’s inquisitive character. The open-style classroom where students and teacher sat at a round table and conversed freely on the subject under study were the best training for problem solving and “thinking on your feet”. Both attributes would serve Elias Kulukundis in his diverse pursuits. Elias continued his studies in Harvard University where he earned a Bachelor’s Degree in Literature and a Master of Arts in Teaching. Elias Kulukundis claims to have two mother tongues. He learned Greek from his mother and English from his father and his English nanny who wanted to get him ready for school in America. His third language is French, which he studied in the standard academic method taught in American schools. 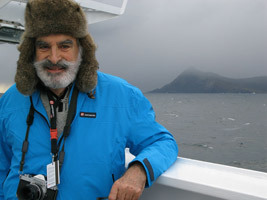 Elias actually learned it and put his knowledge to the test when he traveled on a yacht to rescue a prisoner from the Greek dictatorship in the late 1960’s. He was in company with five Italians who for the most part could only speak to him in French. This story led later on to his second non-fiction narrative book The Amorgos Conspiracy. Asked what was most difficult about that clandestine journey, he answered without hesitation: “Speaking French.” His fourth language is Russian, which he studied in a course he took at night in Cambridge, Mass., after graduating from Harvard. 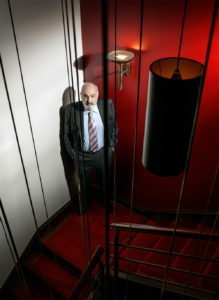 1967: Confronting authority was the keynote of much of Elias Kulukundis early life. Once a counselor to draft resisters fleeing the U.S. to Canada during the Vietnam War, after April 1967, he turned his political passions to opposing the actions of the Greek junta. By going to meetings and gatherings to protest against the Greek dictatorship, he met his first wife Eleni Mylonas. Eleni was the daughter of a Greek politician, George Mylonas, a minister in the last freely elected Greek government before the military took over in 1967. When the colonels arrested Mylonas and exiled him to the Aegean island of Amorgos, Elias organized a daring small boat raid to rescue him from captivity and spirit him off to neighboring Turkey. 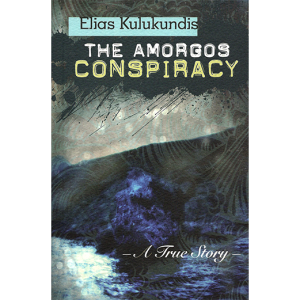 An account of the rescue is the subject of his second true story book The Amorgos Conspiracy. 1974: In 1974, when the Greek military government staged a coup against the independent government of Cyprus, Elias Kulukundis traveled to Cyprus and made a film about the crisis and the ensuing Turkish invasion that drove hundreds of thousands of Cypriots from their homes. The film, entitled Cyprus: Anatomy of a Crisis was distributed by Cinema 5, and remains one of the few historical films about the Cyprus War. 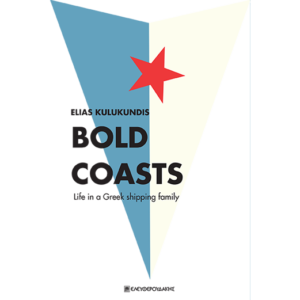 1980: In the early 1980’s, already in his forties, Elias Kulukundis finally turned his attention to the shipping business. He likes to quote Andre Malraux, who said, “A heritage cannot be acquired. 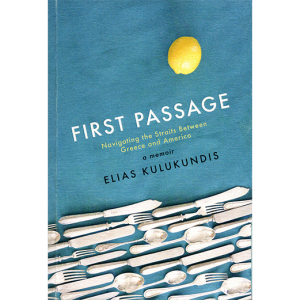 It must be conquered.” Elias Kulukundis has been criticized (by Nicholas Gage) for going into shipping when he could have been writing more books. “He made himself richer but made us poorer” Gage said while presenting The Feasts of Memory to a New York audience. But Kulukundis responded, that “I had to go into shipping because I knew I would never be much of a writer if I did not understand my heritage.” In this effort, the major assistance came from his late wife Lucy Platt, a young Englishwoman from Chichester on the South Coast of England, who was a practicing accountant before Elias met her. With a certain tongue-in-cheek irony, Elias credits Lucy with giving him the idea to go into his family business. 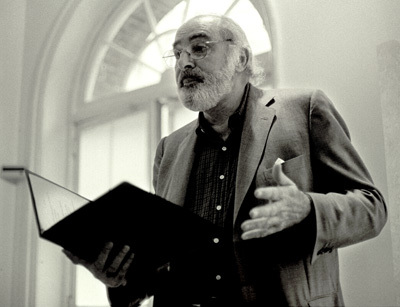 Elias Kulukundis reading his play, Three brides for Kasos, at the Kouros Gallery, New York, March 2002. 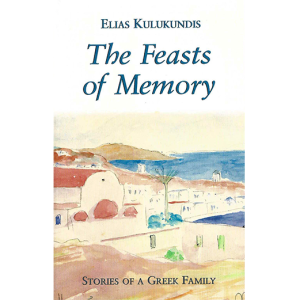 1999: In 1999, over thirty years after the true story book The Feasts of Memory was published, while building the two oil tankers in Korea, Kulukundis needed to do something at night to keep his mind off work. It was then when he started a play based on one of the stories in The Feasts of Memory. 2012: At the same time, Elias has not neglected his shipping career. He bought a supramax bulk carrier in April, 2012 followed by a second in February, 2013. 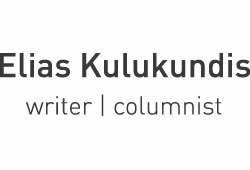 Resistant to being pigeon-holed as either a writer or a businessman, Kulukundis have finally acknowledged the sense of the advice his mother gave him many decades ago. In his twenties, when he was trying to decide between two apparently opposing ways of life, writing and shipping, his mother had a simple answer—“Do both,” she said. It took me several decades to understand what she was saying, but even the Delphic Oracle left you to discover some things on your own.